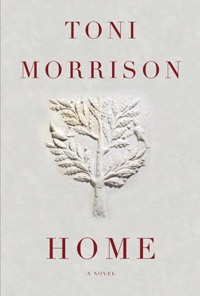 Nobel laureate Toni Morrison is known for novels in which female protagonists struggle to wrest control of their lives from an establishment bent on their destruction. Home, by contrast, tells the story of Korean War vet Frank Money, who returns from the battlefield plagued by visions of his friends’ deaths and a disturbing episode that cuts at the roots of his sexual and moral identity. While his demons are mostly internal, Money still struggles to find a place in a society where “there was no goal other than breathing, nothing to win…nothing to survive or worth surviving for.” Salvation awaits, however, in his tiny Georgia hometown.